In May 2017, Colorado’s Metro Wastewater Reclamation District (Metro District) opened its Northern Treatment Plant (NTP), one of the most advanced treatment facilities in the western United States. The overall $475 million NTP program included a $302 million treatment facility that was delivered $35 million less than original budget estimate, and design and construction of the South Platte Interceptor, a nearly seven-mile gravity pipeline that conveys flow to the NTP. With capacity to treat 24 mgd, the NTP can serve 300,000 residents with room to expand to 750,000. Completion of the NTP ensures safe, reliable, and cost-effective water reclamation for the approximately 1.8 million Coloradans served by the Metro District. Meeting the very stringent effluent limits established to protect the water quality of the South Platte River, the facility includes biological nutrient removal and tertiary treatment, including granular media filtration to meet effluent limits of 10 mg/L for total nitrogen and 1 mg/L for total phosphorus. In addition to incorporating the latest technologies, the Metro District used progressive design-build delivery on the NTP program to achieve schedule savings, cost certainty, and collaborative owner-contractor delivery. The NTP program was one of the largest progressive design-build municipal water projects ever delivered in the U.S.
Progressive design-build is a two-phase delivery method in which the project’s design, cost-estimating, construction schedule, and final GMP or fixed price are developed during the first phase, often called the preconstruction phase. 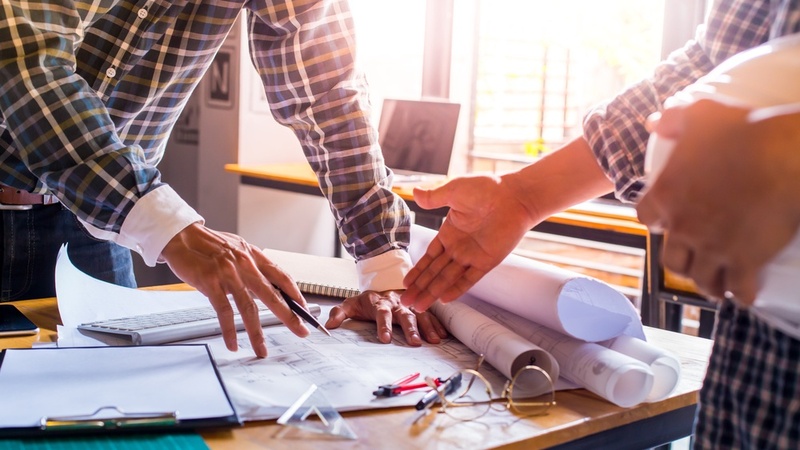 If the owner and design-builder agree on the schedule and the GMP or fixed price during the first phase, the final design, construction, and commissioning are completed during the second phase, referred to typically as the design-build phase. The Metro District selected CH2M, now Jacobs, as its design-builder. This project was one of Colorado’s largest and most complex wastewater projects to be constructed by collaborative delivery and represents the largest “greenfield” water or wastewater treatment facility in the United States to be constructed using progressive design-build. Using progressive design-build offered the Metro District numerous benefits including: the ability to maintain a high-level of control and input on facility design, appropriately assign project risks and build a project delivery partnership that promoted capital savings and design innovation, while adhering to budgetary goals. The NTP program made the Global Water Awards shortlist for wastewater project of the year. Online voting begins March 1, so be sure to cast your vote and help gain global recognition for this innovative progressive design-build project: https://globalwaterawards.com/2018-nominations/. Steve Patterson is the Design-Build Engineering Director for Jacobs, overseeing the engineering delivery for all design build projects. Steve served as the Engineering for the Northern Treatment Plant and the multi award-winning Davis Woodland Water Supply Project, a DBO project in northern California. Steve has planned, managed, coordinated and delivered designs for major processes for water and wastewater treatment facilities with an in-depth understanding of DB project requirements. He regularly oversees design development, design production schedules, construction activities and subcontractors.